Looking for a creative way for your kids to spend their summer days? 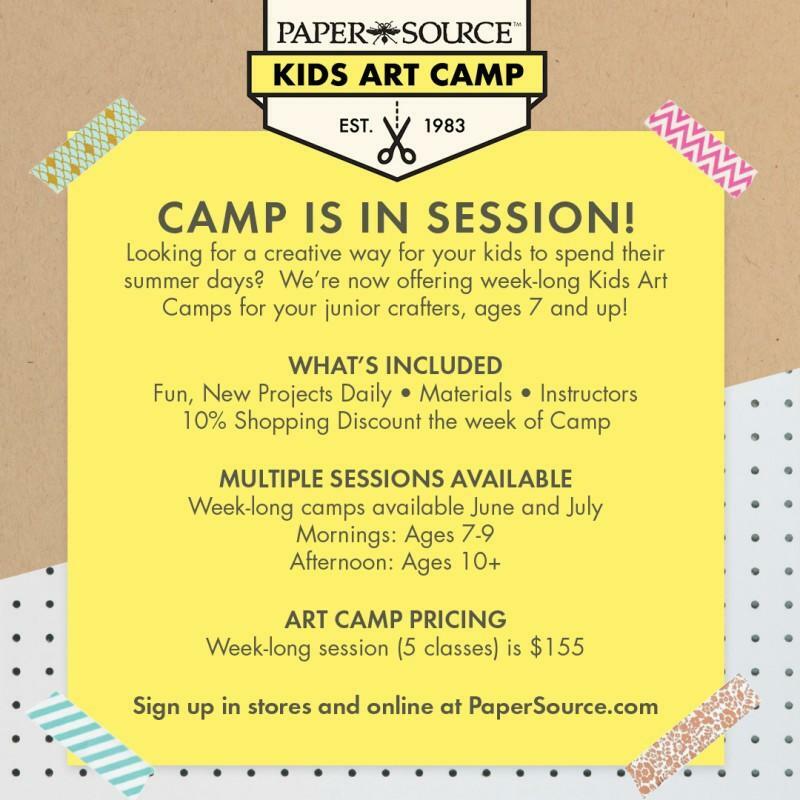 Paper Source Baybrook is offering Week-long Kids Art Camp for your junior crafters, ages 7 and up. Sign up before April 30th for 10% off each week!